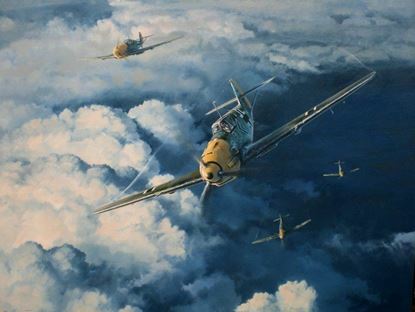 Welcome to 'Nick's Aviation Art' a website dedicated to the work of the talented Aviation Artist Nicolas Trudgian! My name is Nick Maue and I have been Nick Trudgian's researcher for many years - I am also an avid collector of his work, especially his Remarques, original Drawings and Oil Paintings. My aim is to offer to collectors the very best selection of Trudgian Prints and Original artwork. 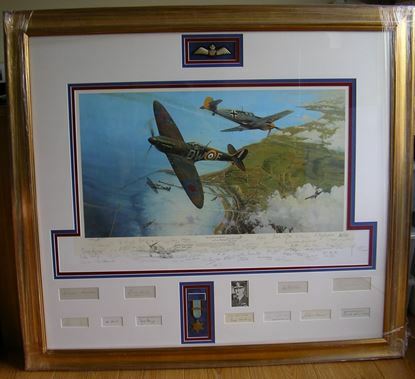 In addition I also have many Aviation autographs and Wartime signed items for Sale across the site, including signed photos, letters and Postal Covers. In addition I will also list for sale Wartime Signed Hoffmann & Verlag-Rohr Cards - I hope you enjoy your visit! 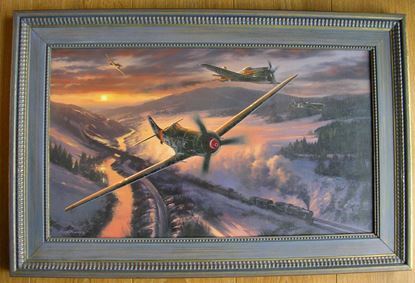 'Nick's Aviation Art' was begun in 2007 by Nick Maue to offer a wide range of Nicolas Trudgian Artwork to collectors. Although known primarily for his aviation paintings, Nick Trudgian also specialises in Tanks and Trains and has many collectors of these subjects also. Both 'Nicks' regularly meet up to chat about new projects, discuss research and create new commissions for collectors. Nick Maue owns a very impressive collection of Nick Trudgian's work - but is always on the look out for more!! 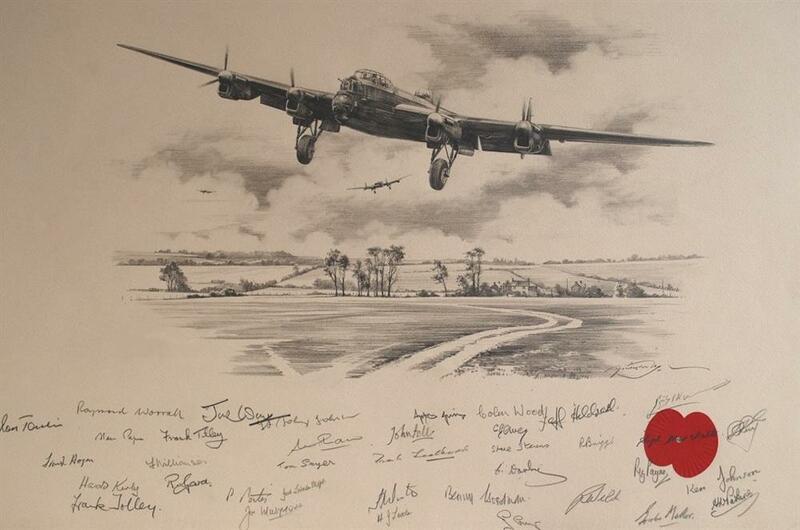 I am always looking for new acquisitions - Prints, Drawings, Signed photos, wartime signed pieces etc. If you have a collection that you wish to sell, drop me an email with details - I am always happy to consider! All Framed items on these pages have been Framed using conservation acid free mounts and are mounted to ensure that the prints/drawings are not 'stuck down' using any kind of adhesive tape - a method that has resulted in Prints being seriously compromised. I also try (where possible) to mount these special pieces with original medals, badges or artifacts that gave the item an individual feel that makes them 'one-off' items. Please feel free to contact me if you have ideas for framing particular prints. 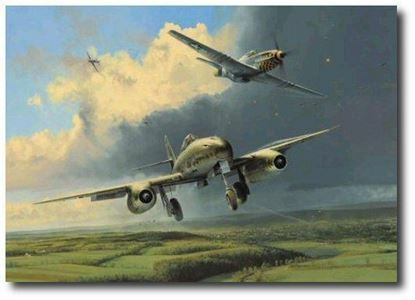 All Commissions handled by 'Nick's Aviation Art' are researched to ensure historical accuracy and are designed by the Artist to meet the aspiration of each customer. If there is a particular aircraft or subject - Steam Trains or Tanks - that you would like a drawing or painting of specifically to your requirements, please feel free to contact me and discuss. 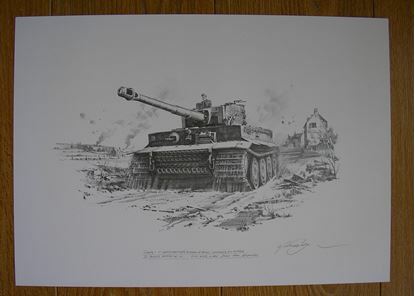 Nick now has regular collectors who commission Trains and Tank drawings, as well as some of the rarer aircraft from World War One and Two. If you would like to discuss this please contact me via Maue12@virginmedia.com. NICOLAS TRUDGIAN - ORIGINAL DRAWING COMMISSIONS. 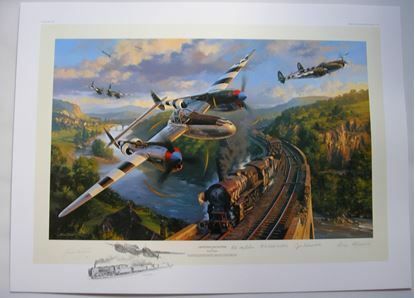 Nick produces some of the very finest Drawings in the Aviation Art world and many collectors have specially Commissioned outstanding works from Nick - many on superb multi-signed paper. 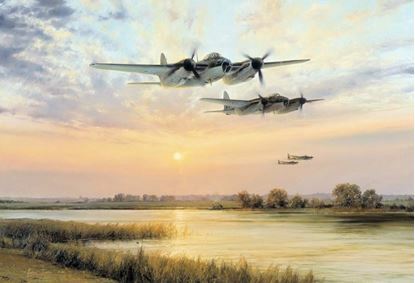 Below you will find a breathtaking Drawing completed for a Private Commission - Avro Lancasters return from another long and harrowing raid against targets deep in Germany. This Drawing is on special Multi-signed paper and is larger than A3 size! If you would like to discuss a possible Drawing Commission please feel free to contact me and discuss your ideas!